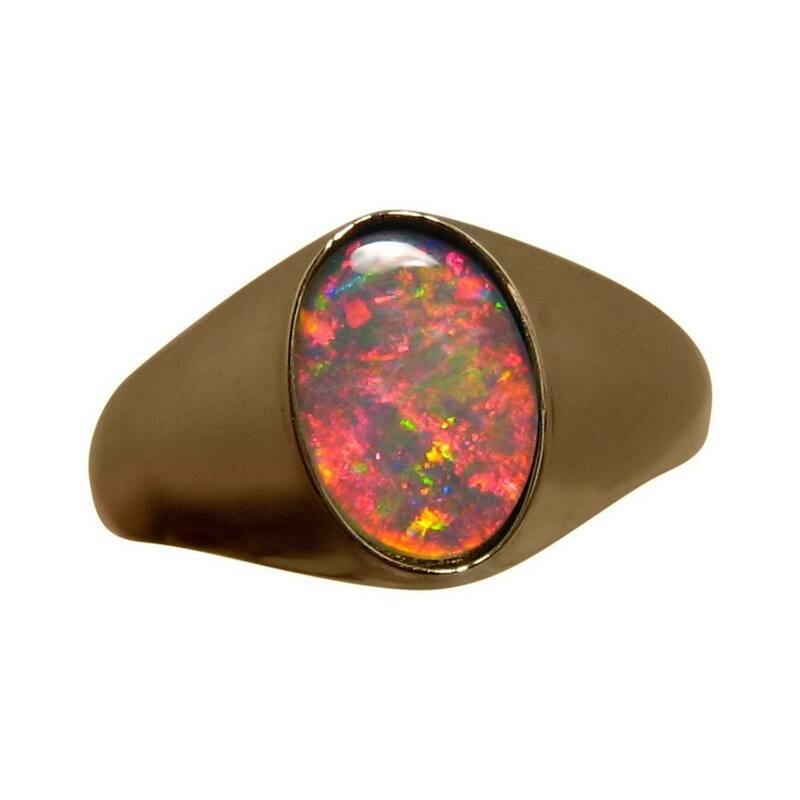 A mens Opal ring with an oval Red Opal in 14k Gold. 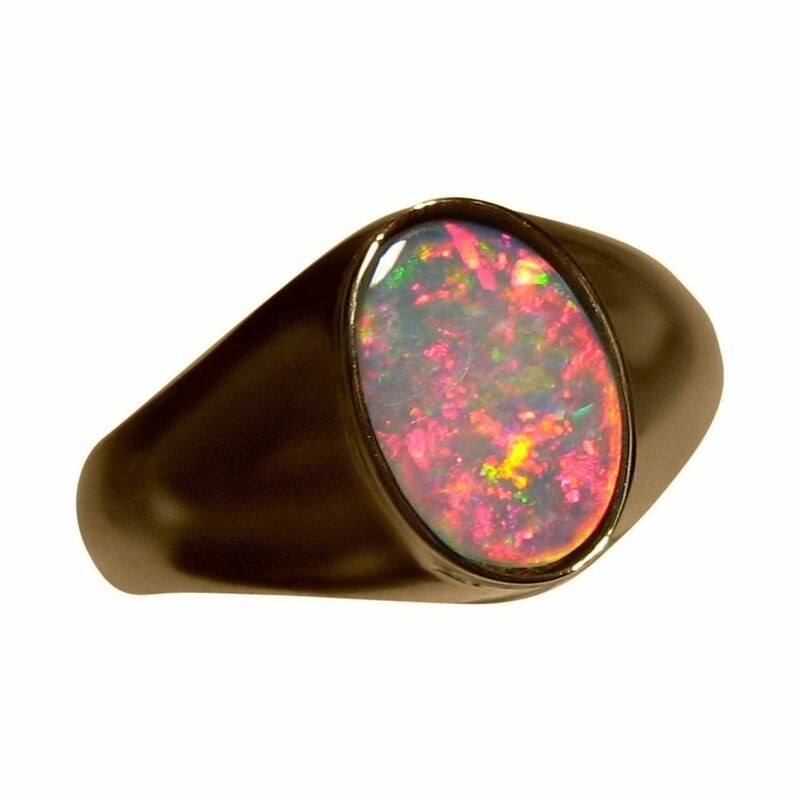 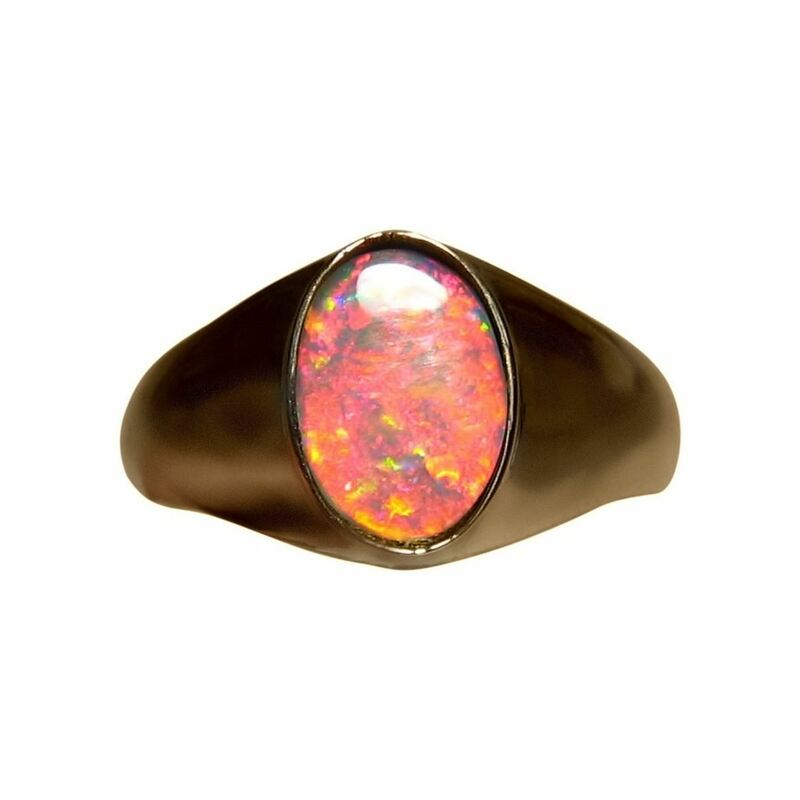 This mens Opal ring features an oval Lightning Ridge Opal that is mainly Red and will be noticed when worn. 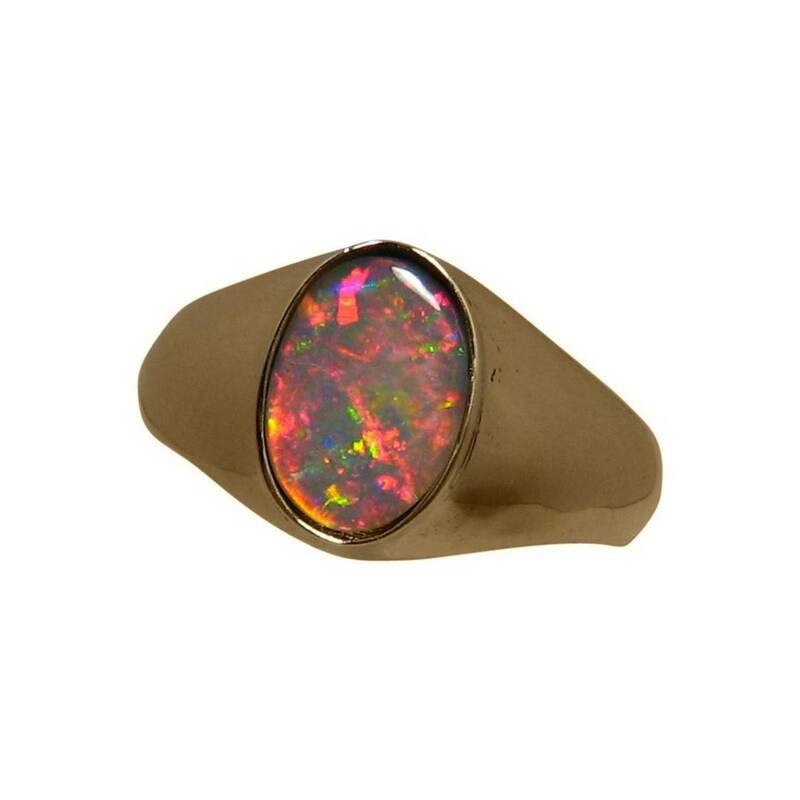 The oval Opal weighs over 1 carat and is inlaid in a 14k Gold ring that is stylish yet masculine measuring 12.3 mm across. 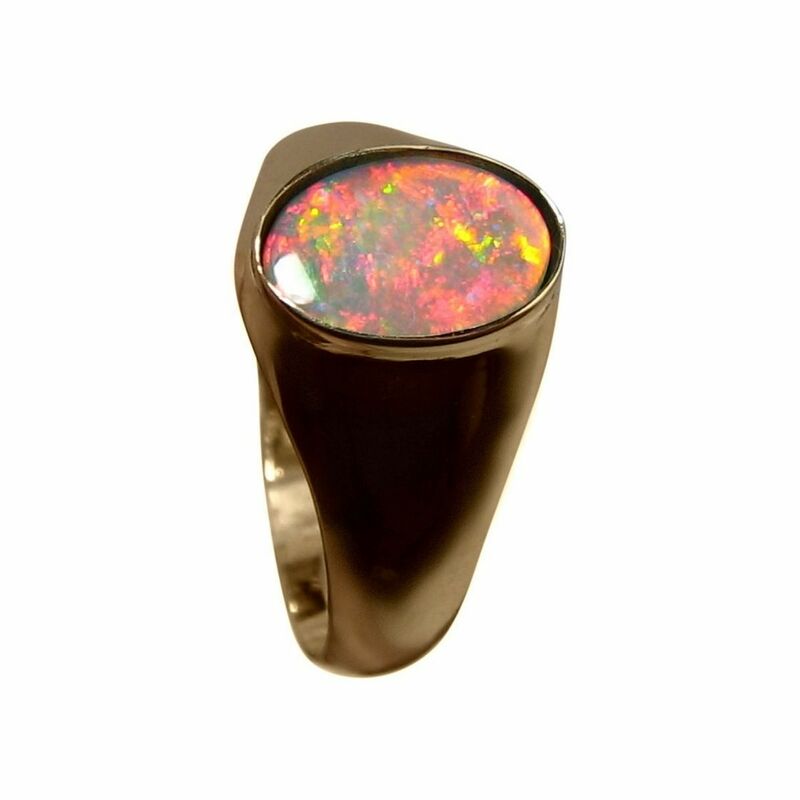 This ring has been sold however if you are interested in having an Opal ring made like the one in the images, inquire through this product page about availability and a no obligation price quote.